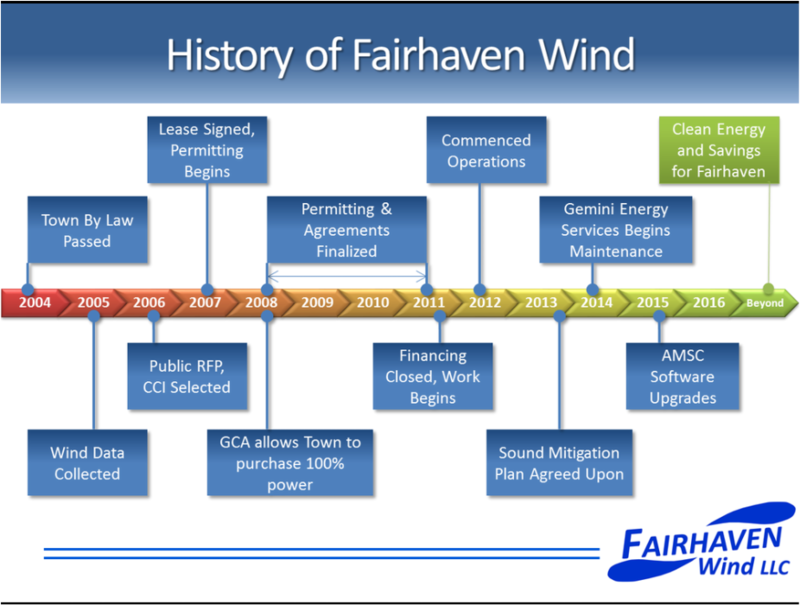 The Fairhaven Wind project began in 2004 when the Town of Fairhaven unanimously passed a wind by-law. The next few years the Town of Fairhaven began the early development steps of evaluating sites and measuring the wind data at the chosen site. The project was put out for competitive bid in 2006. Between 2006-2012, the project was under development and construction.